The magic of a story and the spell of the story teller. 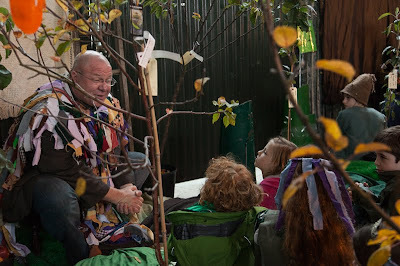 Gifted story-tellers can enchant children and transport them to another place. Fueling those young imaginations is a good thing. One immediately leans in, wondering what he's saying. Kids love good stories, and a good teller will hold them spellbound.